With over 27 albums and 3 Grammys, no one knows how to communicate with kids better than Tom Chapin. Tom’s music is targeted to kids from 3-13 and delivers a combination of catchy tunes, clever lyrics and lots of action. The kids in your life are going to have an experience they will never forget! 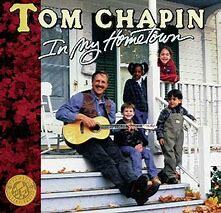 Tom Chapin’s Family Concert is this Saturday February 9th at 1 p.m. at HLG University (2700 Palmyra Road in Hannibal). Doors open at 12:30 and tickets are still available. General admission is $25 for adults and $12 for kids. 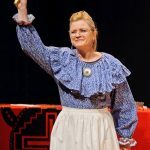 Buy online at www.eventshannibal.com or call 573-719-3226. Tom wants all his fans to know that he will be available to greet you and sign autographs in the lobby after the show! Next article The Interrogation of Nathan Hale Leads Off a Stellar New Season in Hannibal!